Future Corporation Ltd is proud to present VinylMaster Pro now bundled with 'FutureRIP SE' and 'Font Detective' the truly professional Sign and RIP software for the 21st Century. Why do we call VinylMaster Pro the ultimate? To begin with our software comes complete with all the features - and more - of sign packages costing up to 10 times as much! There�s no �lite� or �junior� version, no plug-ins to buy, no hidden costs -The VMPro Package comes complete with every design, print and cutting feature you�ll ever need �built-in�, and not only does it come at a great price - this package incorporates tools and features that will save you real time and money! The trace software EuroVECTOR was replaced by EuroCUT Design. EuroCUT Design contains all functions of EuroVECTOR and beyond it professional sign and design tools. Do you want the best sign making solution that money can buy? Look no further than CoCut Pro. It adds high-end sign making features for color printing and fully automates the print-and-cut process with advanced support for Summa's revolutionary OPOS contour cutting system and other producer's alignment systems. But CoCut Pro and CorelDRAW are more than just the ideal print-and-cut solution. Three different Welding options make all clipart files instantly vinyl-ready, so you'll never pay for over-priced sign making clipart. And Inline/Outline contouring creates cutting paths around vector illustrations or bitmap images with unparalleled speed and efficiency. CoCut Pro, when paired with the incredible power of CorelDRAW, easily outperforms anything else on the market - including sign making programs costing thousands more. This functionality is either given with Illustrator, Freehand and AutoCAD. 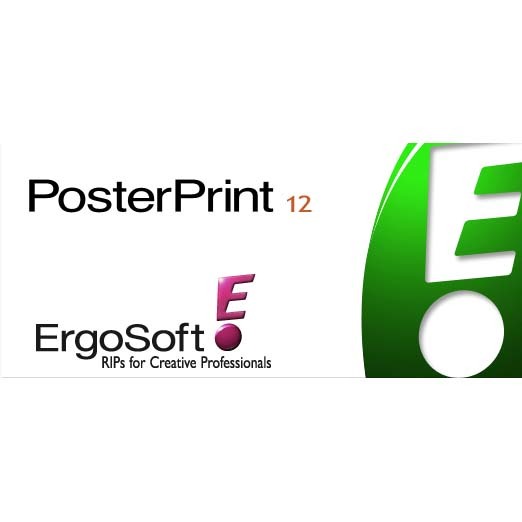 ErgoSoft is a developer of high fidelity inkjet RIP software. 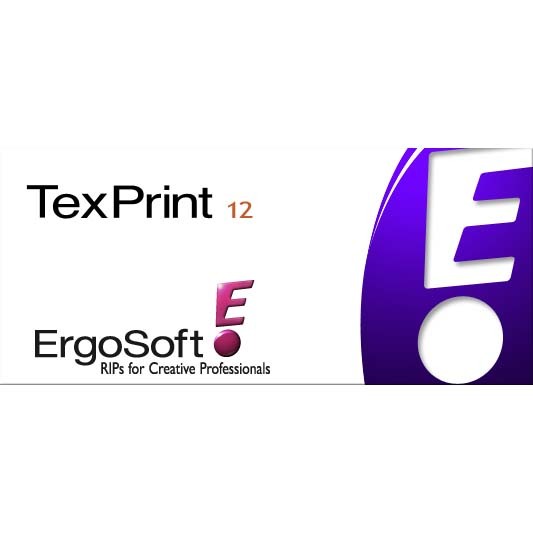 Each ErgoSoft RIP is uniquely designed to meet the specific requirements of Fine Art, Digital Photography, Large Format Display Graphics, Dye Sublimation & Digital Textile printing. SmartVector Pro represents the state of the art in bitmap to vector conversion with the added benefit of the industry�s best vector creation and editing tools. The software is a full featured vector creation and editing tool that can be used as a stand-alone program or integrated with Smart Designer 12 and CorelDRAW. Scanned images or bitmaps can be easily converted to production-ready vector art work and exported in a variety of industry standard file formats. In addition, vector graphics can be created with user-friendly text tools and the industry�s most intuitive vector drawing tools. The software has powerful vector editing tools including auto-welding, advanced outlining, block shadowing (with automatic trimming), contouring (print and cut contours) plus routing and engraving fills (hatch and island). SmartVector Pro is a professional solution for creating and editing vector graphics for sign making, screen printing, embroidery, engraving and digital printing. SmartVector Pro is the ideal industry specific complement for design software such as CorelDRAW or Adobe Illustrator. Smart Designer X3 is a revolutionary software that enhances the capabilities of CorelDRAW 12 or X3. With Smart Designer X3 installed, over 110 new menus are added to CorelDRAW. Each new feature is designed to both automate and simplify the process of designing and producing graphics. Smart Designer X3 transforms CorelDRAW from a general graphics program into an industry specific graphics system for screen printing, sign making, direct to garment printing, sublimation printing, laser engraving, embroidery and promotional products. Ramsete III is DGS' historic product - once developed to meet the requirements of traditional printing. Today Ramsete III is more innovative, productive, flexible and easier than ever. Easy : User-friendly and intuitive interface. Productive : High speed, multi-tasking and image compression technique make Ramsete III to one of the most appreciated products within the production chain of the textile printing industry. Open : It can be easily linked via network to every CAD system (PC, MAC, SGI) and to scanners and plotters commonly used in the textile industry. Flexible : Ramsete III continues to be developed according to the real customer requirements. Engravers, printing mills and design studios will also in the future determine the direction of the development. Fast : Definitely one of the fastest products on the market, due to its efficient way of data processing. Ramsete III always tries to occupy the minimum of memory and thus reduces the time necessary to carry out all operations. Screen : For color separations, generation of films, engraving cylinders. It indeed increases the customer�s productivity and enables a fast amortization of the initial investment. It contains a high range of drawing functions, design, retouching tools and options for step and repeat. It directly interfaces all major types of plotters and laser engravers such as Robustelli, Stork, CST and Zedco. Colorways : For generation of colorways, printout on paper and textile. It combines creativity with reliability & leads thus to efficiency. It is tailored to the needs of designers, stylists and colorists containing a high range of drawing functions, design, retouching tools and step-and-repeats capabilities. It supports an extraordinary treatment of half tones and does precise calculations of selective overlaps and color separations. The cornerstone of a productive prepress workflow, PREPS software dramatically reduces job costs and turnaround times with a customizable workflow that suits your unique requirements. It is used with popular workflow solutions including BRISQUE, PRINERGY, Apogee, RAMPAGE, HARLEQUIN, NEXUS, and TRUEFLOW software, supports both MACINTOSH OS X and the latest WINDOWS operating systems, and is compatible with ADOBE ACROBAT 7 and QUARKXPRESS 6.5 software. PREPS software also integrates seamlessly with UPFRONT job planning software. PREPS software is available in three versions: Pro, Plus, and XL. All versions are provided in English, German, French, Spanish, Italian, Japanese, and Simplified Chinese.